Within us all there is the potential to awaken – from the trance of those states of consciousness which keep us bound in the claws of greed, hatred, delusion and its many derivatives. During the course we want to explore – by using meditative and contemplative practices from the teachings of the Buddha – how we can not only discover and develop our spiritual potential (indriya), but how they can unfold into powerful aspects (bala) of a human life, which is dedicated to the realization of truth or reality. In October, Ajahn Khemasiri, an acclaimed buddhist monk, will pay a visit to Poland for the first time. The event will take place between 3-7 October 2018 and will be a unique opportunity to take part in a retreat with a teacher. 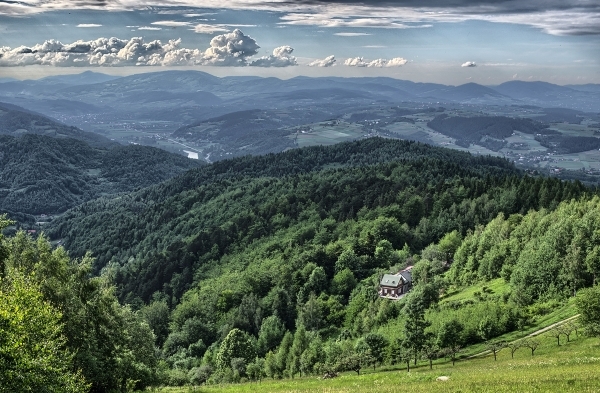 The Theravada Foundation invites you to a so called meditation retreat in Sopatowiec, a buddhist-yogic place in Beskid Sądecki famous for its fabulous views and delicious vegan meals. Ajahn Khemasiri was born in Magdeburg in former East Germany in 1950. He first became interested in Buddhism in 1977 in Berlin, after having met two respected monks from the Tibetan tradition, the late 16th Karmapa and Kalu Rimpoche. In early 1978 in London, he encountered Ajahn Sumedho – the senior Western disciple of the Thai meditation master Ajahn Chah – and was inspired to begin Dhamma practice under his guidance. Eventually he moved to England and in 1984 became a postulant (Anagarika) in the newly opened Amaravati Buddhist Centre. In 1986 he was granted acceptance into the Bhikkhu Sangha at Chithurst Forest Monastery (Cittaviveka). He spent his primary monastic years in several British monasteries and then moved on to Dhammapala Monastery in the Swiss Bernese Oberland in 1993. His time at Dhammapala was interrupted in 1995 by an extended visit to the Buddhist holy places in Nepal and India and an almost four-year stay in monasteries and secluded places in Thailand and Burma. 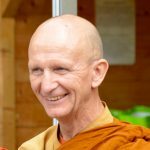 He returned to Switzerland at the end of 1999 and in 2005 became the successor to Ajahn Thiradhammo as the leader of the small monastic community in Kandersteg. Dhamma Talk by Ajahn Khemasiri will be in English. The retreat starts on Wed 3th Oct 2018 at 11 a.m, ends on Sun 7th Ocr 2018 at 1 p.m.
A total cost of the retreat: 500-550 PLN (depending on room choice). We kindly ask to pay a 100 PLN donation as soon as possible on the Theravada Foundation account 89 2030 0045 1110 0000 0270 1020 with a title: October 2018 retreat - donation. According to our tradition: vegan breakfast + vegan lunch before noon. Snacks will also be served in the evening. During the retreat we will abstain from false speech. It means that before we say anything we will think whether it is true, has positive consequences and if it is the right time to say it. We do not talk in the meditation room (except planned discussions) and during so called silent days - also over meals, breaks and free time. During the retreat we do not use mobile phones on site. We recommend turning them off. In an emergency you can leave the premises and make a call outside the building. We recommend taking: warm clothing, waterproof shoes to use during walking meditation outside, rain jacket, toiletries and a towel, slippers or comfy footwear to use inside the building, meditation pillows and mats. Books, laptops, tablets and everything else that can draw your attention away from the practise. We are renting the whole centre. Accomodation: 2-4 person rooms and a dormitory room in the attic. A schedule of the retreat will be provided at a later date.